By capturing the vacant World Boxing Federation (WBF) Intercontinental Super Featherweight title on Friday night, December 28, in Lagos, undefeated Nigerian contender Oluwaseun Joshua Wahab could be closing in on a shot at WBF World Champion Patrick Kinigamazi in the new year. 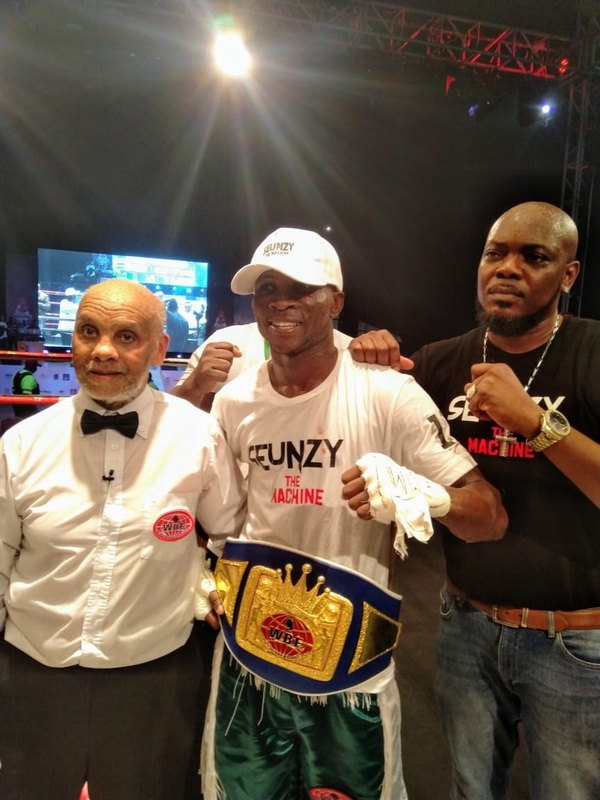 Based in Accra, Ghana, and fighting in his birth-country for the first time as a professional, “Sensational” Wahab headlined a show at Tafawa Balewa Square on Lagos Island, and put on a dominant performance against Tanzanian co-challenger Issa Nampepeche. However, with two well-matched and game fighters going at it, it turned out to be an entertaining bout to watch for the large throng of enthusiastic fans in attendance, but Wahab was mostly in control and never appeared in serious danger of losing. After twelve fast-paced rounds of boxing, judges Segun Adesanya, Lateef Muiss and Adetolla Jacobs all had the returning local hero winning the fight comprehensively by scores of 119-108, 120-108 and 119-108 respectively. 28-year-old Oluwaseun Joshua Wahab, a pro since 2018 and with Ghana national, West African and WBA Pan Africa titles also on his resume, improved his unblemished record to 18-0 (11). Issa Nampepeche (24) drops to 29-9-6 (12), after going unbeaten in his previous seven outings.